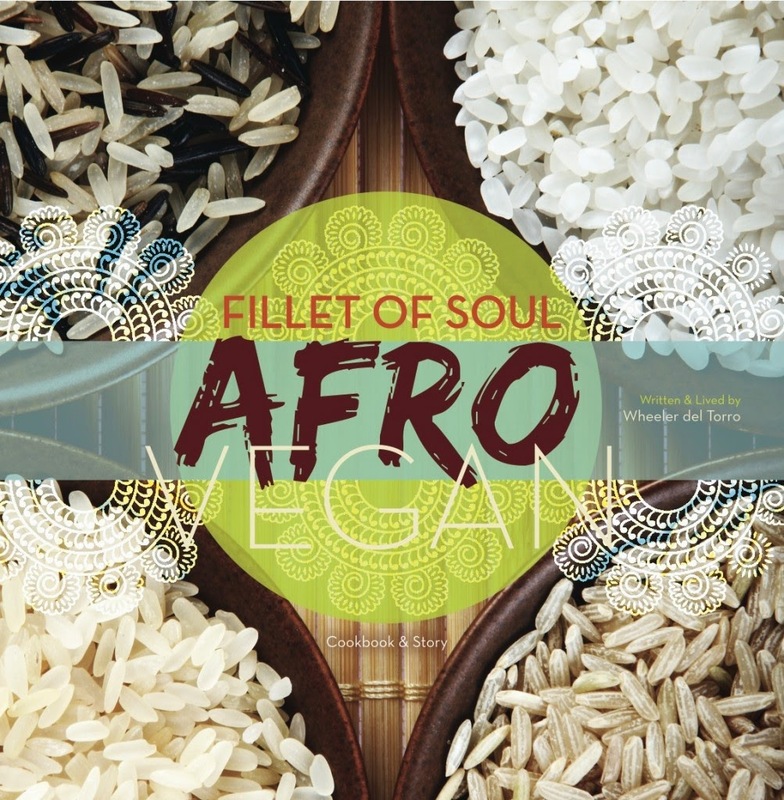 From what I gather, AfroVegan is the first in the Fillet of Soul series in which Wheeler will share recipes and inspirations from his travels to over sixty different countries. In this edition, he focuses in on the time he spent as a chef in France and his explorations of Senegal, Ethiopia, the Caribbean, and the American South. The book is divided into 2 parts, Part 1: Paris which covers French, Jamaican, and Southern cuisines. Part 2: African Inspiration shares menus and recipes from Senegal and Ethiopia. As Wheeler introduces each country of origin, he not only provides the recipes, but he also provides a sneak peak into the culture surrounding the foods and the impact that it has had on him and his creative endeavors in the kitchen. The recipe I chose to make for this review is the Peanut Soup. I chose it because it is inspired by a cuisine that I am not at all familiar with, Senegalese. I will admit that I was a bit skeptical of this soup upon glancing at the ingredients list. I mean, it calls for 2 whole cups of peanut butter. But as you will taste upon your first spoonful, this rich, hearty, savory soup is warming to the spirit as well as the belly. The velvety smooth texture makes this soup not only wonderful on it's own, but also as a great addition to a bowl meal. I'm thinking chopped Fieldroast sausage, potatoes, brown rice, carrots and green beans would be so good swimming around in this soup. I found it a little spicy as written (I like spicy so it was perfect for me) so if you are sensitive, keep an eye on that cayenne pepper. I suppose it also depends on how spicy your curry powder is. The author has given permission for me to share this recipe with you. 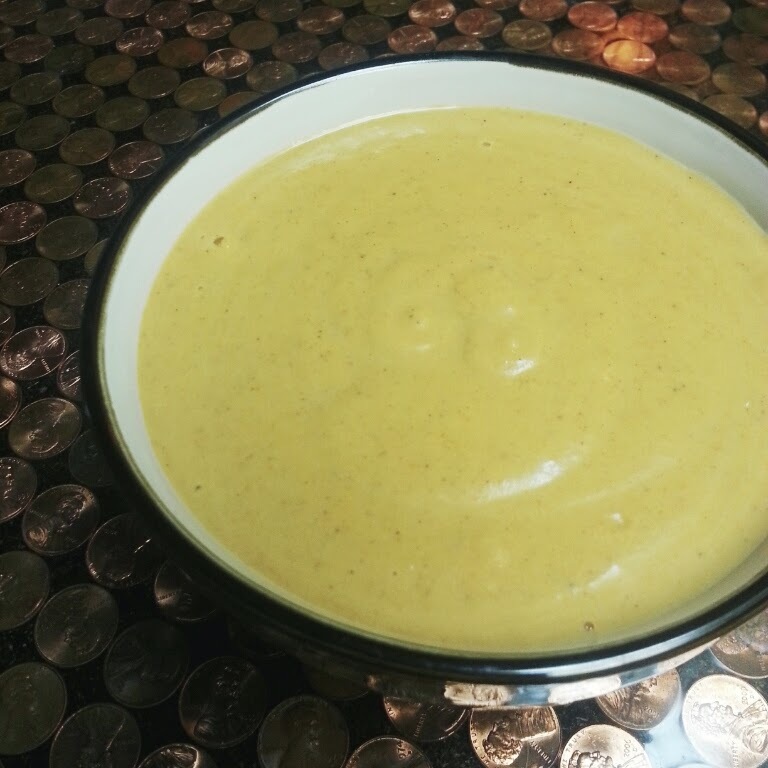 It's the Peanut Soup from the Senegalese chapter, which appears on page 55. The peanut flavor of this soup is balanced by warm spices and the earthy sweetness of sweet potatoes. Heat peanut oil over medium-high heat and add the curry powder. Toast, stirring constantly for 2 minutes. Add the onions and cook until soft, about 3 minutes. Add cayenne and peanut butter. Stir well to combine. Add the sweet potatoes, vegetable stock and coconut milk. Bring to a boil, then reduce heat to low and simmer for 15 minutes, stirring occasionally. This is a beautifully written, designed, and laid out cookbook. It is packed with full color photographs not only of the food, but of the places and people that inspired del Torro to write the recipes. The recipes are simple and effective. They are not fussy and the ingredient lists are short and filled with easy to find ingredients. The only drawbacks I have found is that the ingredients are not always listed in the order in which they are used in the recipe, and metric equivalents are not included in the recipes (though there is a metric conversion chart in the back of the book.) It is a great addition to any cook's shelf, and is an inspiring read. There are not a huge amount of recipes included in this short volume, however the point is not to overwhelm with quantity and to simply focus on a few traditional recipes from different regions and represent them well, and in that respect this book is a sure success. I am looking forward to reading all of the volumes in this series, as it gives me a chance to travel the world without ever leaving my kitchen. Lucky for you, the Wheeler is ofering up a copy of his book to one lucky reader. Just follow the prompts in the widget below to enter. Sorry, this giveaway is open to US readers only. I was provided with a review copy of the book free of charge, however my opinions and review are my own. I fell in love with Welsh Rarebit years ago, and I'm glad I finally figured out how to make it vegan and gluten-free. I like anything Mexican. I really enjoy making my own salsas and fresh quacamole, to put on black bean tacos. So amazing! I want that soup NOW, especially on a cold rainy day like today in NYC. I love being inspired to recreate dishes from our favorite trips. We went to Morocco for our honeymoon! We would make a lot of dishes with couscous, cumin, lemon and mint. Then, the Husbear bought me a tagine and it was one of the best gifts ever. Making homemade flatbread with veggie & chickpea tagines full of flavors that remind us of Marrakech or traveling through the Atlas Mountains! I love dolmades and baba ghanouj. I haven't made dolmades in the traditional style, just as a deconstructed casserole dish, but the flavors were there! I really don't travel unless it's thru my books or music. I have been on a long trip thru the Middle East for about 20 years. I had another version of Foul the other day that was more tomato based than the Lebanese style I love. Different. Yes. Omg. The ones from the cart in Portland? So good. If traveling home to DC counts, then I'd say equal inspiration from Ethiopian and Vietnamese! OMG looks amazing, would love to check out this book! I'm definitely a fan of paella! But it's from eating it in NYC, not Spain.. I haven't done much actual traveling, but I have developed a love for traveling through food since becoming plant based. I've tried so many new tastes that I didn't give a second thought to when I ate a standard diet. What a great sounding book! Thanks for the giveaway! Any dish with delicious seaweed. Too bad it is so expensive but easy to work with.